“The Spirit Came” is really the product of how God has helped us forge friendships and partnerships across languages, nationalities, and song styles as we pursue His worship and healing within His Church. 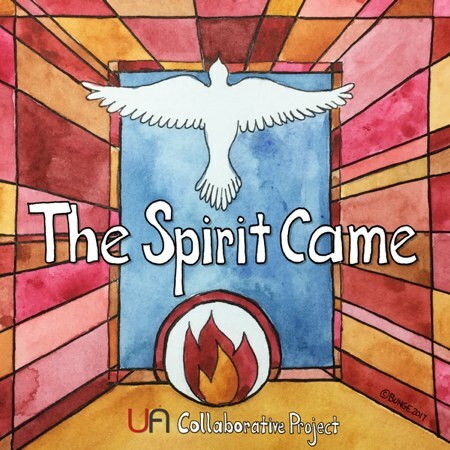 “The Spirit Came” is the first UA compilation project birthed from multiple retreats across the United States. It’s a compilation of six songs, written by five separate artists, that came out of retreats from San Diego (translated from Spanish), Detroit, Dallas, and Fort Wayne, all based around the theme of Pentecost, the outpouring of the Holy Spirit on the church for mission. “The Spirit Came” is really the product of how God has helped us forge friendships and partnerships across languages, nationalities, and song styles as we pursue His worship and healing within His Church. The song styles are as diverse as the songwriters who wrote them. Not every song will reach every person in every context, which is why United Adoration wants to release the voice of worshippers across the nations. The Lord is enthroned on the praise of his people. We believe that as the church sings one another’s songs in mutual love, the Spirit will once again pour our His Spirit for mission.